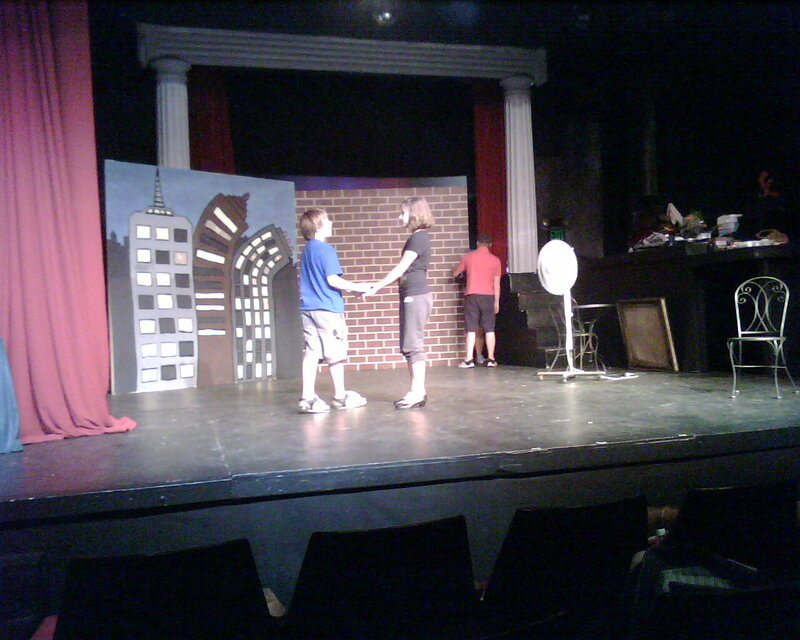 Guys and Dolls rehersal. We painted the set over the weekend and yesterday, and Gus will be practicing here all week. The show’s opening night is Thursday.